Did you know that there are plans for a Farmer’s Market in Main St, Alachua? Please lend your support by signing the petition for the Alachua Farmer’s Market. The Office Dealer supports this worthy project that benefits local growers, businesses and residents. 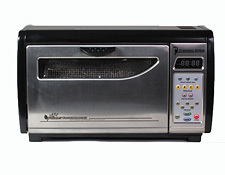 As a fitting start to our long-awaited blog, here’s a shout-out to Barry and the good folks at Roastmasters.com We’re quite serious about our coffee and roast our own here at The Office Dealer using the Behmor 1600 and use a Baratza Maestro for grinding–a great combination!